Classic Canada Day Cocktails Can you believe that July is almost upon us? I always find that June is an incredibly busy month. Perhaps it’s because I’m trying to tie up all the loose ends before that hot, sunny weather convinces me that spending my days at the beach is a much better use of my time than sitting behind a desk. Ok, who really cares what the reason is. The point is that now is the time to enjoy life, and I encourage you to join me in doing the same. Canada Day is this coming Tuesday (as if you didn’t already know! ), and presents us with a whole lot of reasons to celebrate – 147, to be exact. One of those reasons is the invention of our very own classic cocktail – the Caesar. The story goes that it was invented in Calgary in 1969 for the opening of an Italian restaurant. I love the fact that it’s as red as our flag’s maple leaf and that its ingredients represent the surf and turf essence of Canadian cuisine. Pour all ingredients into a mixing container. Using a second container, pour the mix back and forth between the two. Known as “throwing” the drink, this is performed to achieve the proper aeration. Pour into a glass with 2-3 ice cubes and serve. A soon-to-be Canadian classic. 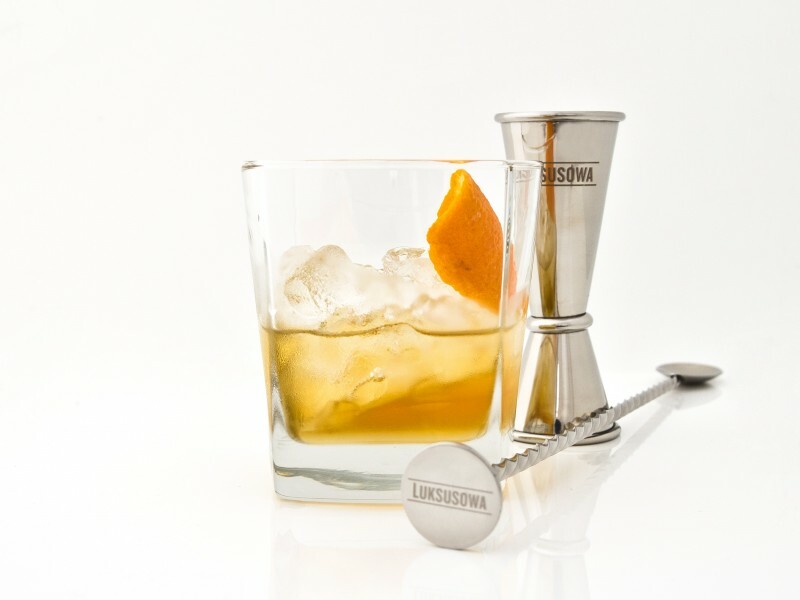 Recipe courtesy of Luksusowa vodka. Pour all ingredients into a stirring glass and stir with cubed ice until cold and balanced. Strain into a pre-chilled cocktail glass and finish it off with a zest of orange. Luksusowa Vodka retails for $25.95. 40% ABV, 750mL This is premium vodka distilled in Poland and made with 100% Polish potatoes. It feels very smooth and rich on the palate. The taste is, at first, lightly sweet, and then eventually gives way to a lovely earthiness and warm spice. You’ll enjoy a very long, pleasant finish.